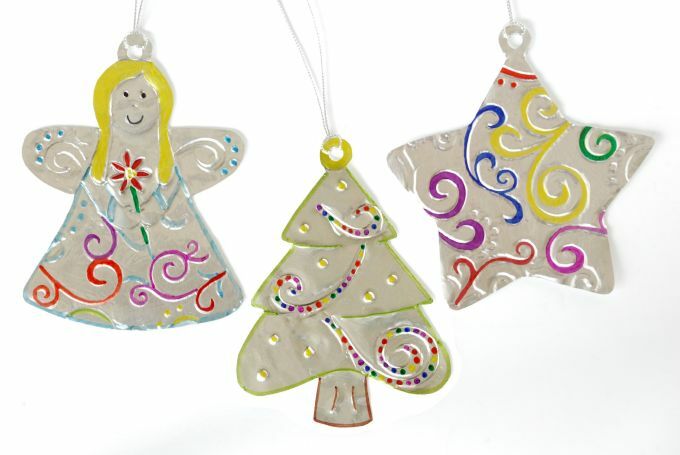 It’s so fun and addicting to make these beautiful Christmas ornaments! When you shape the metal and start to see the embossed design come through — it’s a pretty cool thing. 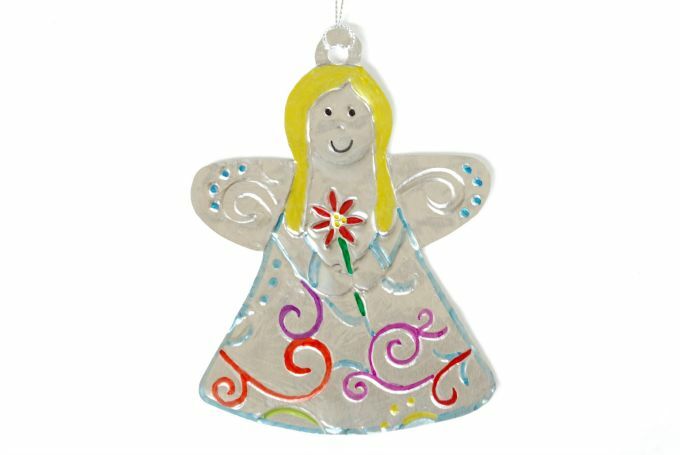 I’ve always liked tin ornaments – such pretty designs and so colorful. But to make them involves a large pair of metal cutters and a hammer. But, we don’t want to damage any fingers, right? So I found this wonderful aluminum metal that is very easy to shape. It is cut with a regular pair of scissors and is embossed with a wooden stick. 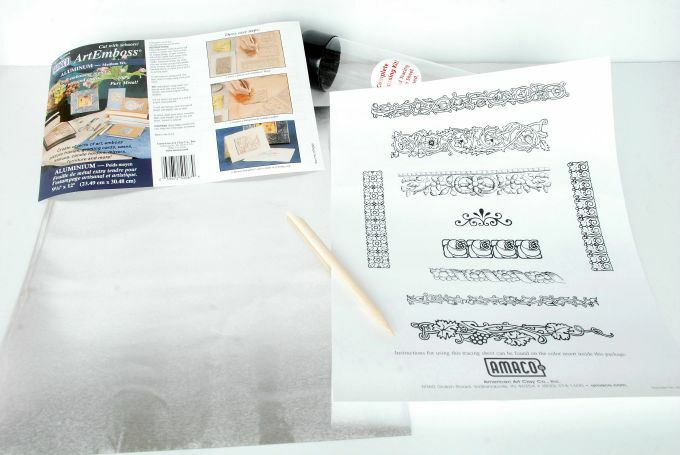 The “embossing folder” (with design patterns) is placed underneath the metal and rubbed with the stick to make the design pattern raise up. 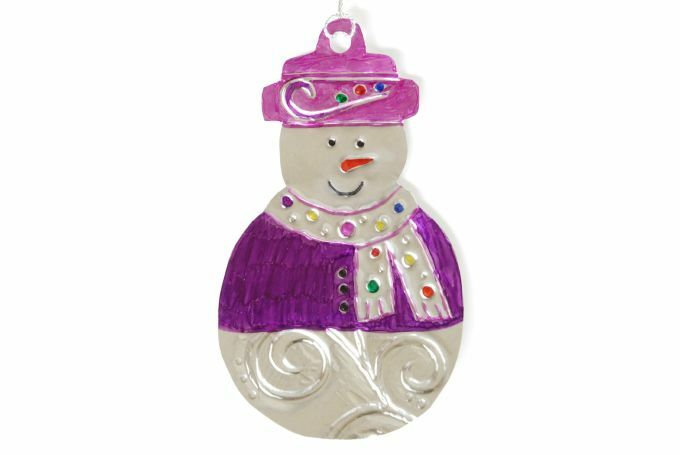 It gives a texture and elegant touch to the ornament. 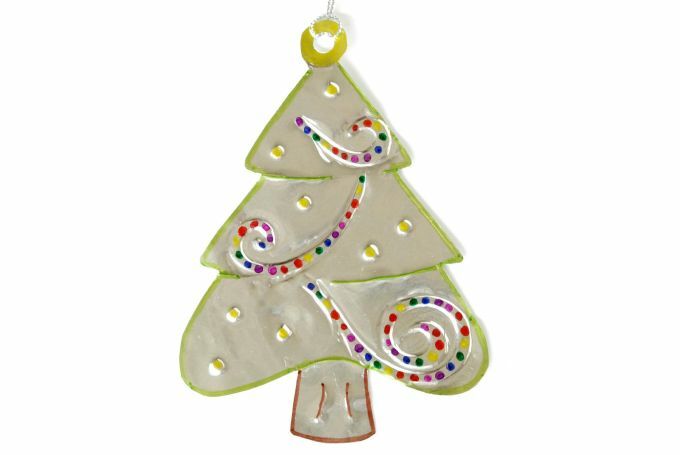 The ornaments can be painted, but I found permanent markers give it a nice bright color. Markers also let the shine of the metal come through. Here are the supplies I use to make these ornaments. ArtEmboss™ Pure Metal Sheet – Aluminum, Medium Weight 9-1/4 x 12″ $18.35 – Comes with a wooden tool. One sheet makes about 6 ornaments. 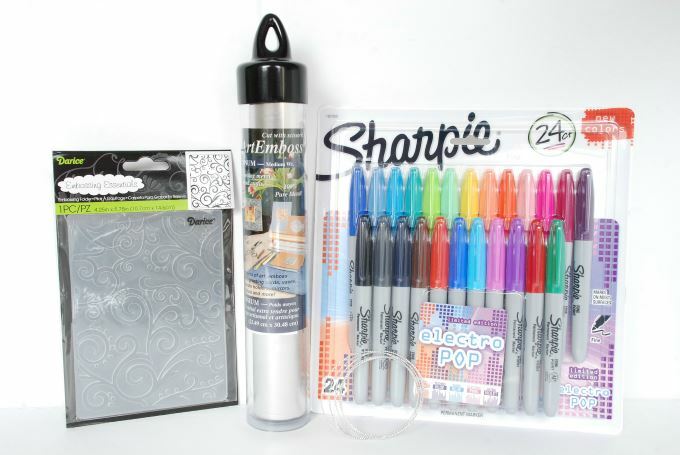 The metal sheet package comes with a wooden tool – with both a fine point tip and a flat edge. It also includes directions and tracing patterns. Here is a little snow girl I made using a bit more color. I embossed below her sweater and a swirl on her hat. For the angel, I embossed her dress. For her wings, the same pattern was used – a raised pattern on one wing and a lowered pattern on the other. I singled out three different swirls for the tree. 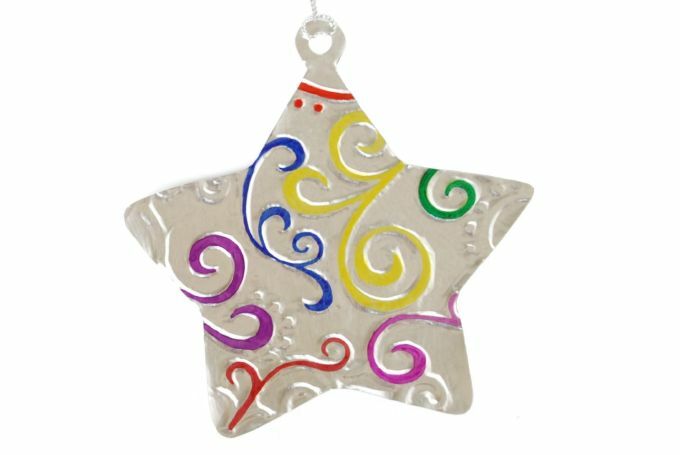 With the star, I selected an area from the embossing folder that I liked. I pressed and used the entire design. It is so much fun. 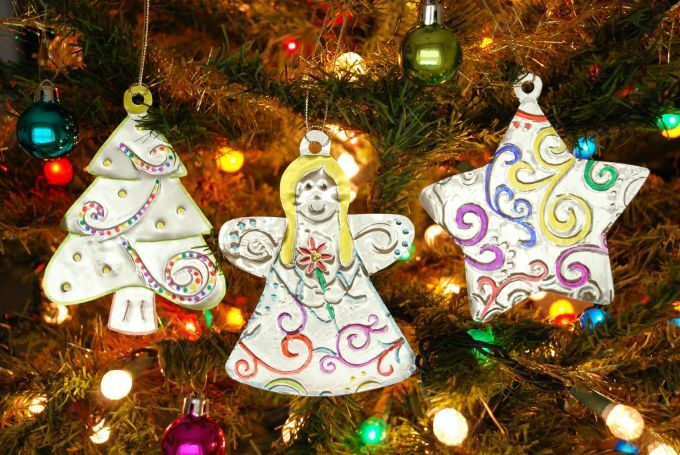 You’ll probably want to make all of the ornaments yourself. But they’re an easy craft for kids to make too.